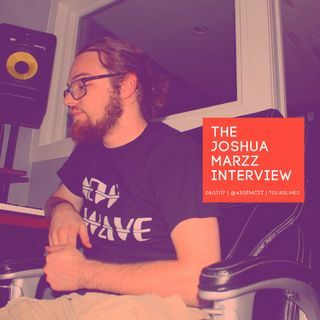 Joshua Marzz, an artist, engineer, producer & CEO from the state of Delaware, stops by to chat with Dini about his latest project, "Spoils of the Voyage", New Wave Music and the journey it took to get there & how to properly do a cover track. To find out, set your reminders, it's happening! 08/17/2017 | @4:30PM Central Standard Time | Call in at 701-801-9813 | or hop ... Más informaciones in the mix via browser by visiting www.onlyonemediagroup.com/vigilantesradio and slapping that "Go Live" button. Please follow our show at www.spreaker.com/onlyonemediagroup & remember sharing is caring! Thanks for your continuous support!